VetTalks — The Centre for Canine Education Inc. The Centre for Canine Education offers FREE on-site continuing education for Toronto's veterinarians, veterinary technicians and veterinary hospital staff. We cover topics such as canine behaviour, basic and complex behaviour challenges, consulting skills, and more. VetTalks™ are held at individual clinics unless otherwise requested. We provide a full visual presentation, a Q&A, and follow-up support. This VetTalk is a first for veterinary clinics new to our services. This presentation builds a foundation with the basics of behaviour, body language, communication / ritualisation, and helpful tips on how to apply this knowledge in a veterinary setting. There is never enough time to cover everything in a new puppy appointment, but this VetTalk will teach you all you need to know about puppies and the delicate developmental period between 5 and 20 weeks of age. 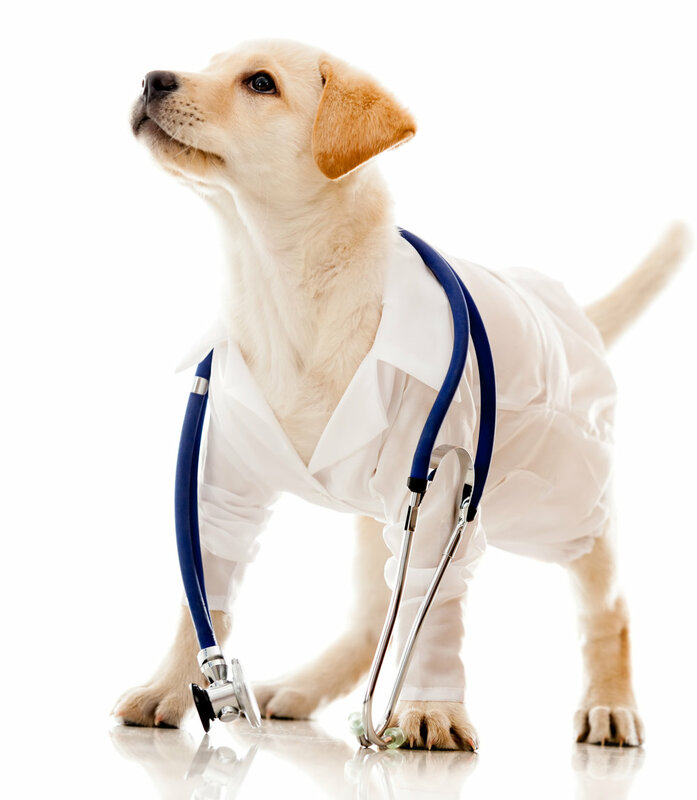 Start your patients off on the right paw and set them up for a lifetime of success! A focused talk to decode canine body language and communication rituals so that you can better understand what dogs are "saying" to you. We include a plethora of video and images to analyse and interpret. Discover the secrets behind successful modification of this very real panic disorder. We will dispel myths, find creative management solutions, and analyze footage of systematic desensitization protocols. You'll walk away with science-based solutions for your patients and their humans - both of whom may be suffering! Barking, lunging, snapping, and biting; by far the most common challenge dog trainers are called in by dog guardians. Reactivity and aggression toward dogs and people has become far too prevalent in our dog population in Toronto, and with the newly updated Dog Owners Liability Act in March 2017, we must be vigilant and ensure guardians have the knowledge and skills to modify this behaviour and keep not only themselves and their dog safe, but also professionals such as veterinary staff, groomers, trainers, and the public, of course! A natural response to growling is for us humans to punish, however what good does that do? Will it cause a silent biter? How can we stop a dog from guarding food, objects, spaces and people? Is this a dominance issue? We'll give you the answers you're looking for so that you can help your clients stay safe while modifying this unnerving behaviour challenge. Unlock the mystery of canine fears and phobias, whether they are logical or not. Learn preventive care for puppies, how to identify triggers, the best way to modify behaviour, and when to recommend pharmaceutical intervention. "The only thing we have to fear is fear itself." ~ Franklin D. Roosevelt, 1932. Handling dogs may be second nature to you, but passing the skill to a novice dog guardian may prove to be challenging and in turn preventing successful at-home care from occurring. Learn some neat tricks to teach your clients when they take their dog home to administer pills, topical treatments, ear drops, eye drops, dental care, basic grooming, and nail clippings. Also included is low stress handling tips in the clinic for you and your staff! Let's create a behaviour-friendly clinic with the help of a Fear Free Certified Professional! This VetTalk is a great supplement to your already-Fear-Free-Certified clinic, or simply a crash course if you’re not yet Fear-Free. From the waiting room to the surgical suite, from the home to the clinic, we have the solutions that can provide your clients with peace of mind, your patients with a fear-free visit, and less stress for your team. Increase revenue with the quality of care you provide! Let's put aside the canine equation for a moment and address the human at the other end of the leash - sometimes the more challenging of the two species in a tense medical situation. Let's learn some effective ways to communicate with our clients by using compassion and helpful scripts. We'll arm you with helpful handouts for your clinic to use to back up exactly what you're saying. Register for your VetTalk™ now! Please allow 3 business days for a response. Book us in to your quarterly continuing education plans! A minimum of one Veterinarian must be present among participating staff. Is there anything you would like us to know? Thank you for registering for a VetTalk! We will get back to you within 3 business days. THE CENTRE FOR CANINE EDUCATION INC.
© COPYRIGHT 2019 | ALL RIGHTS RESERVED | THE CENTRE FOR CANINE EDUCATION INC.